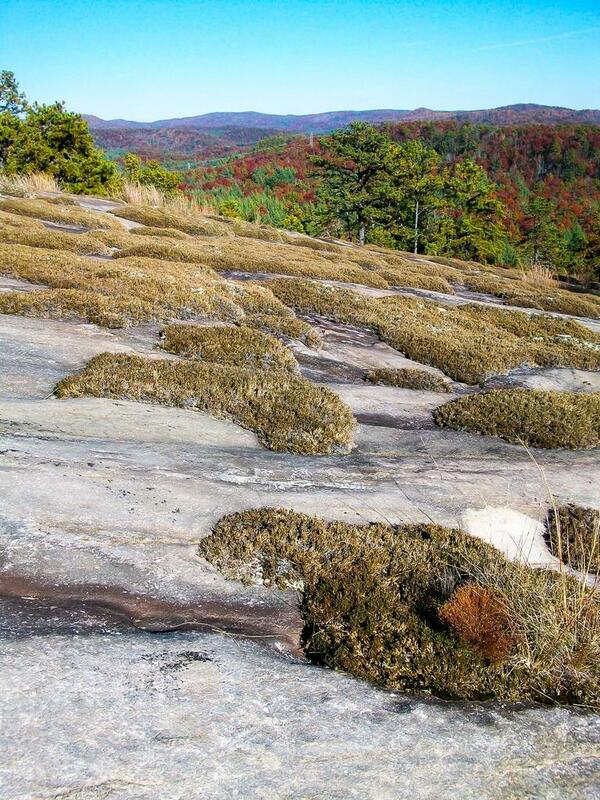 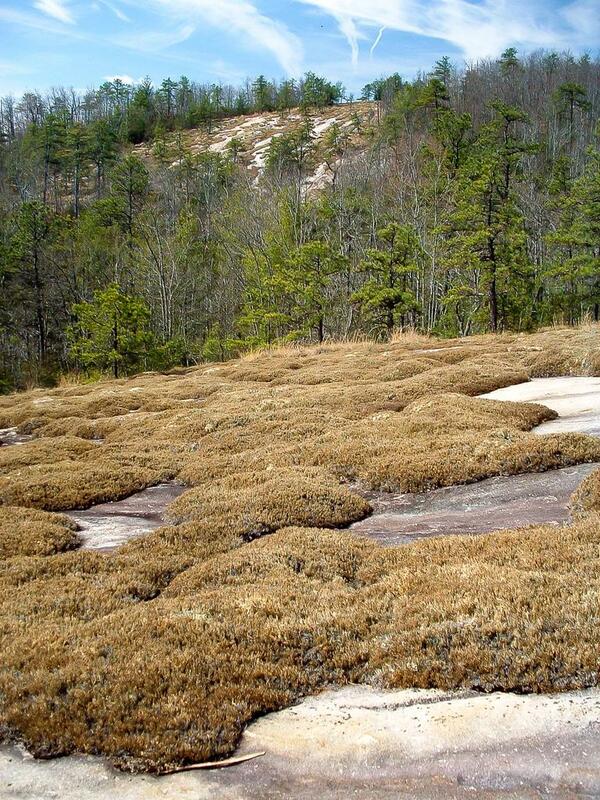 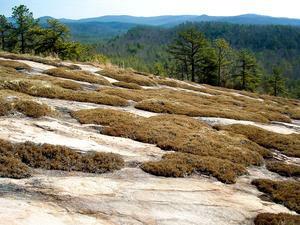 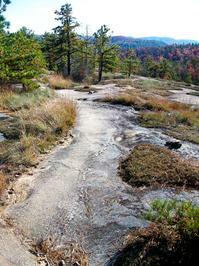 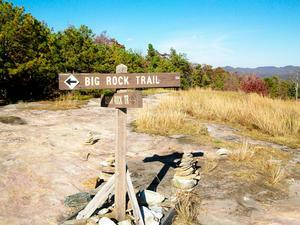 Interesting trail passes over the granitic dome of Cedar Rock Mtn. Although the mountain is small by mountain standards, this trail provides some great views and an interesting environment. 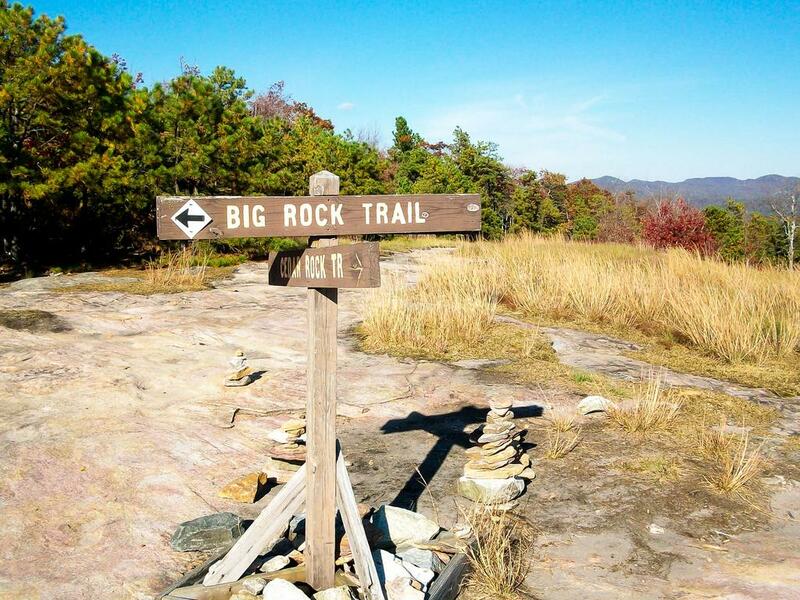 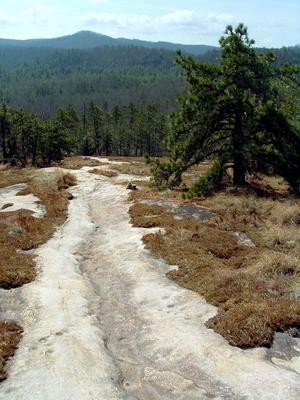 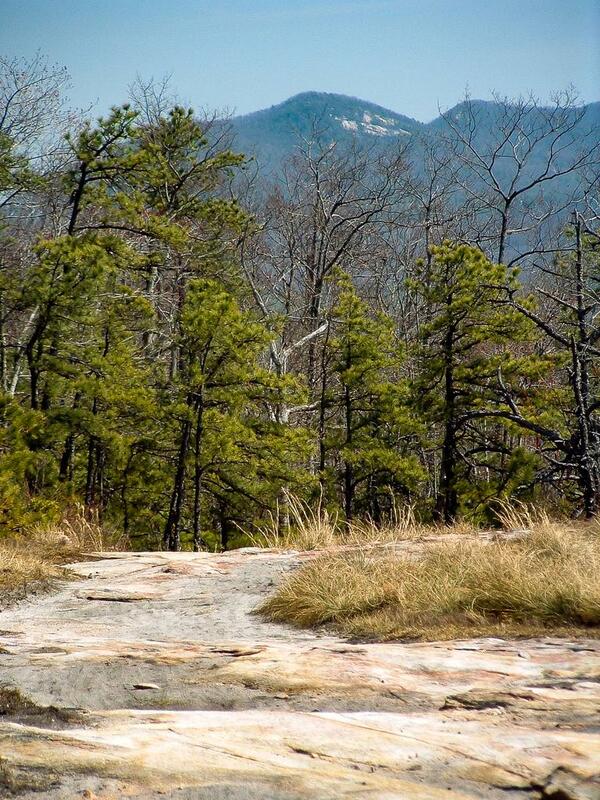 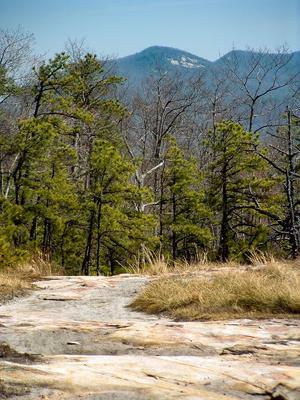 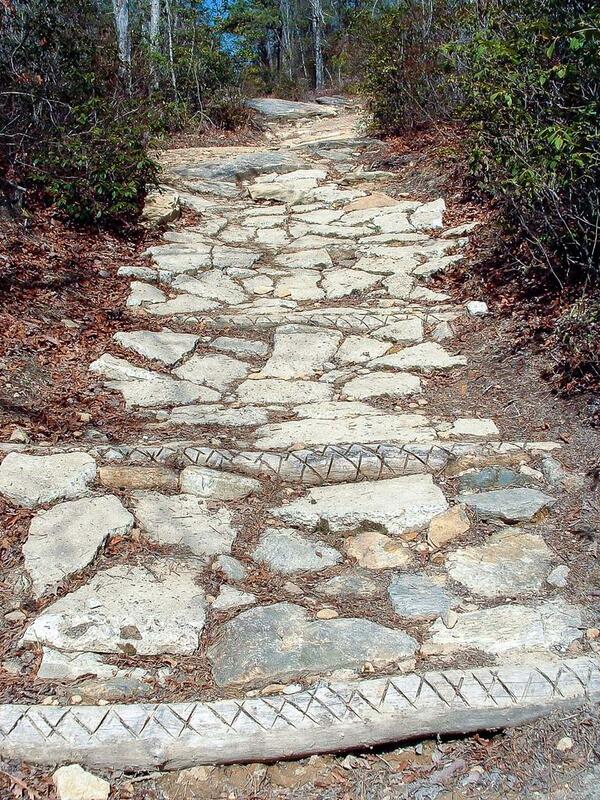 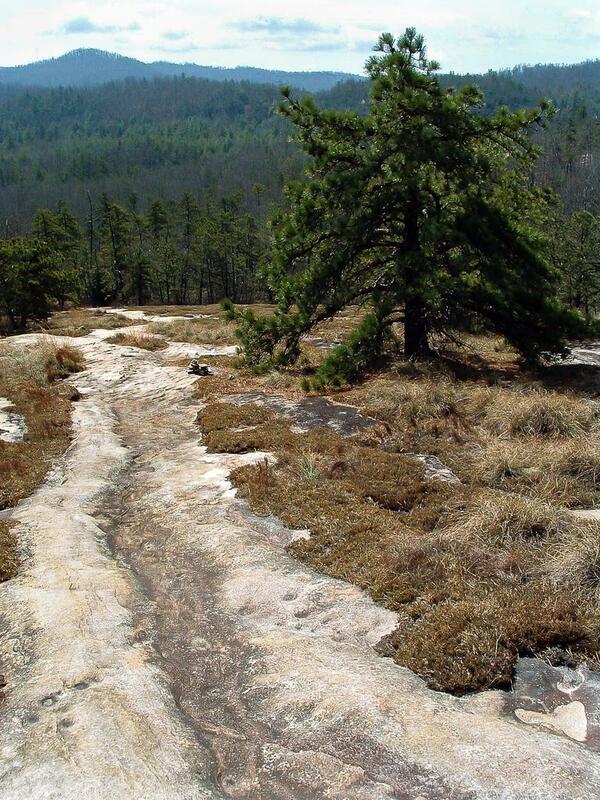 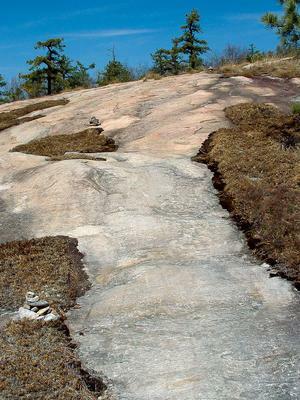 There are some rocky sections near the bottom; rest is mostly solid rock with patches of moss and low pine trees on either side of the trail.